Here is Top 10 Richest States in Nigeria and Their GDP (2019 Update) – Perhaps why Nigeria was named the Giant of Africa was because of its large economy and staggering population. With over 180 million people enclosed in it, Nigeria is the most populous black nation on earth and the 9th most populous nation in the world. Her giant economy is partly linked to this mammoth population. Nigeria, inspite of its recession and other economic woes, still prides itself as the largest economy in Africa. The country is rich in treasury and natural resources dispersed across 36 states in 6 geo-political zones. As the largest economy on the African continent, Nigeria is made up of a number of affluent states. Some of the Gross Domestic Products (GDP) of these Nigerian states are higher than that of 30 African nations put together. These states can comfortable fend for themselves without federal allocations due to their capacities in population, natural resources and investments. Gross Domestic Product (GDP) is the total amount or financial value of the goods and services produced in a given state within a speculated period of time. This GDP is calculated monthly and summed up annually to give a total figure. It is the benchmark used for the rankings. With that in mind, here are the top 10 richest states in Nigeria and their GDP. If any true Nigerian is asked to define the economy of Nigeria in one word then undoubtedly it will be Lagos. This city is the pride of Nigeria and indeed the African continent. Situated in the Lagoon of western Nigeria, Lagos is the most populated African city and Africa’s largest city in terms of economy. The city is rich in infrastructure, culture, tourism and generally represents everything Nigeria is known for. With a population of over 21 million people threatening to sink the lagoon, the GDP of Lagos is higher than that of over 45 African nations combined. It is one of Africa’s most developed state. So developed and cosmopolitan has the state evolved over the years that it is regarded as city than a state. 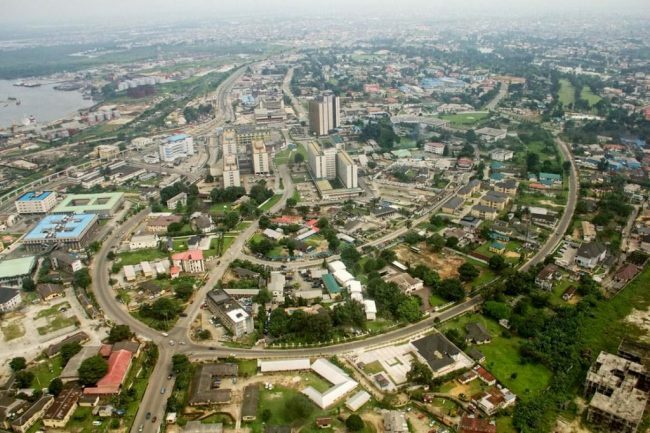 It is estimated that over a 123, 000 people relocate to Lagos on a daily basis owing its sprawling development and conurbation. Lagos is Nigeria’s own version of Manhattan, New York. 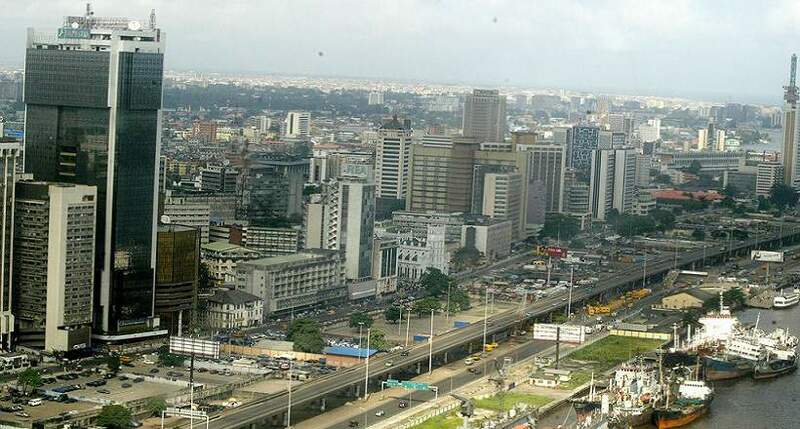 Lagos as a city has a monthly Internally Generated Revenue of 302 billion which is the highest in the country. Geographical sited in the southern part of Nigeria, Rivers State is West Africa’s oil and gas hub. 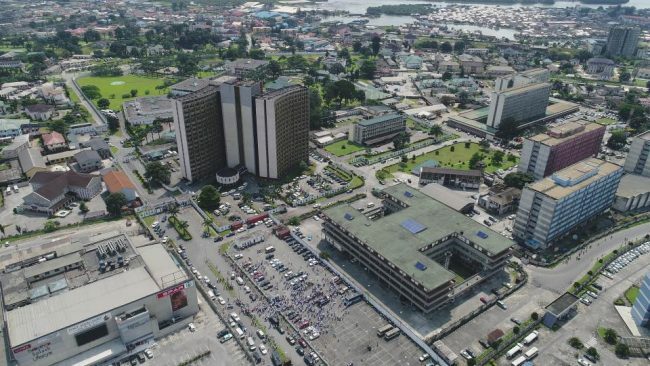 Its capital Port Harcourt goes with alias “the oil city” as virtually every oil and gas multinational and local firm is represented in this city. The city alone accounts for 95% of the GDP of the Oil rich state. 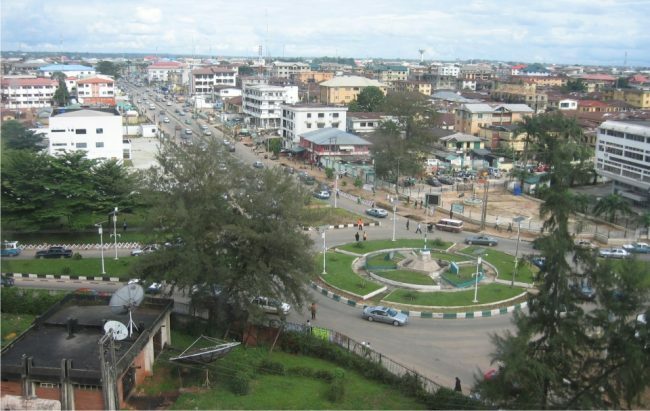 Port Harcourt is the most developed city in the state as well as the entire South-South and South-East geopolitical zone. This was occasioned by the oil boom in the early 60’s that flourished Nigeria’s economy making it oil dependent and further enriched her foreign reserve. 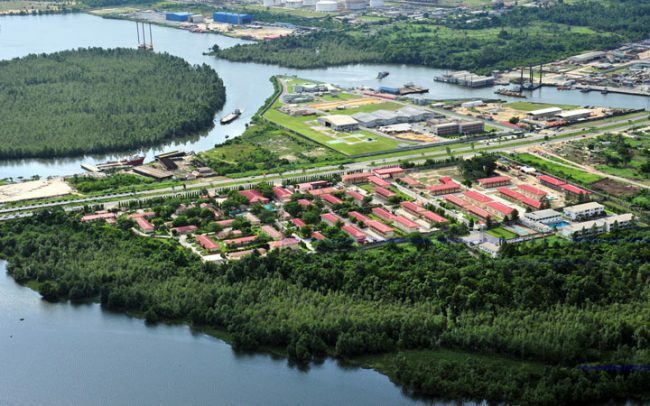 Nigeria owes its gratitude to this city first and other similar cities in the Niger Delta region identified with liquid gold for her large coffers in terms oil revenue. This oil boom attracted development and population to the port city as everyone longed to have a bite of what the oil money tasted like. The population of Rivers State stands at an estimated 6 million. Its capital Port Harcourt is not void of modern infrastructures, hotels, airports, seaports and of course its emblem: the refineries. The slogan of the state is the treasure base of the nation as it accounts for 90% of Nigeria’s oil deposits and foreign oil reserve. Referred to as the big heart which is its slogan, Delta State is located in the southern part of Nigeria and is amongst the major states that makes up the Niger Delta oil rich region. Its major cities are Warri and Asaba. Warri serves as the state’s economic and entertainment capital while Asaba functions as the state political capital. The economy of this state would be have been low or perhaps wouldn’t make it to this richest list but for the abundance of oil and presence of multinationals oil firms, it became famous and known as the “oil city 2” trailing behind its cohort state Port Harcourt. Delta State houses the major operational base of Nigeria’s 3rd largest oil company Chevron Nig. Plc. as well as other oil offshore platforms in its high oceans. The state is blessed with bounty mineral resources alongside its oil blessings. Located south west of Nigeria and sharing same geographical space with Lagos, Oyo state is one of Nigeria’s richest state. Its capital Ibadan is revered as the largest city in West Africa. The state boast of its agricultural endowments being the major supplier of cocoa in Nigeria during the days the product thrived. 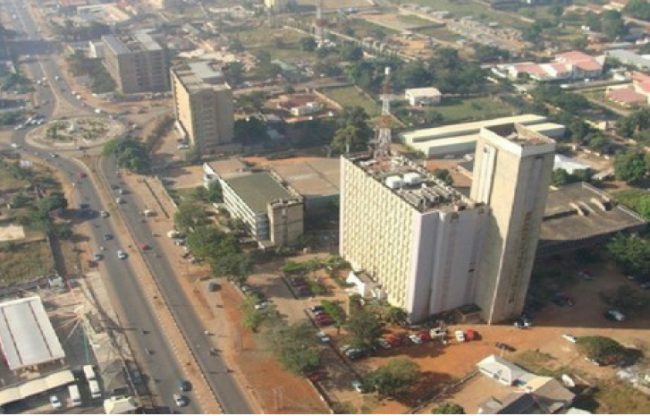 The success of cocoa export rose this ancient city to prominence triggering the first skyscraper in Nigeria known as the cocoa house a building made up of 23 floors. 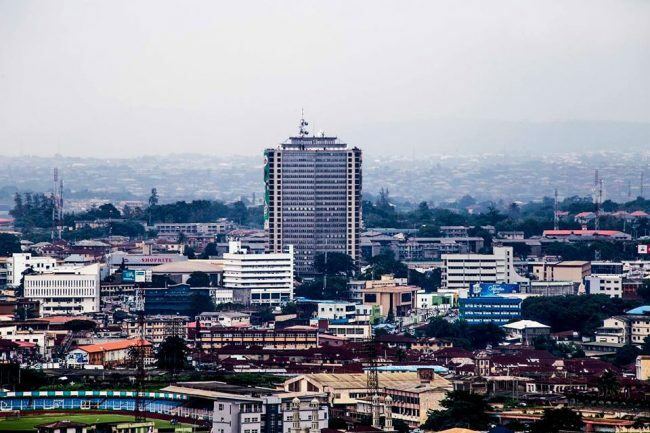 Owing to its proximity to Lagos, Ibadan enjoys a similar population surge which has fostered the rise of its economy and Internally Generated Revenue (IGR). Oyo State has an incredible landmass favoring its agricultural endeavors and giving its capital such a prestigious title as the Largest city in the West African sub-region. 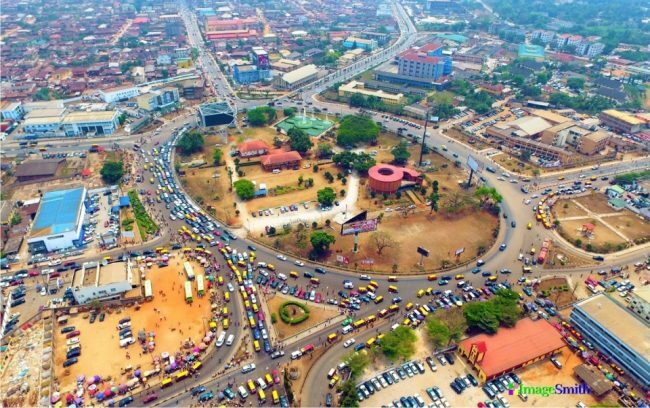 The city of Ibadan is one of the most populous in the country coming after Lagos and Kano as the third most populated. Known as the eastern heartland, Imo is of the eastern region of Nigeria and one of the most influential states in the region. It has a thriving economy hinged on business majorly and made it to the number 5th spot due to the discovery of oil in its domain. It’s about the only state in the eastern region that can brag of close to a 150 oil wells. The Oguta and Ohaji ebgema areas of the state are oil rich regions and have the presence of some major oil companies and multinationals like Addax petroleum and Agip. With the discovery of oil deposits in the eastern heartland, her treasury took a leap and placed her as the richest state in the south eastern region of Nigeria. The state is not doing bad infrastructural as its present government is poised to transforming the outlook of the state to match up other mega cities. There are more hotels in its capital Owerri than there are in any part of the south east. This is a pointer to the luxurious life abundant in its confines. Representing the Northern region of Nigeria is its economic power house and most populous state Kano. The state is easily identified as a commercial one with prominent markets occupying its landscape and attracting business folks from across the country and neighboring African nations. 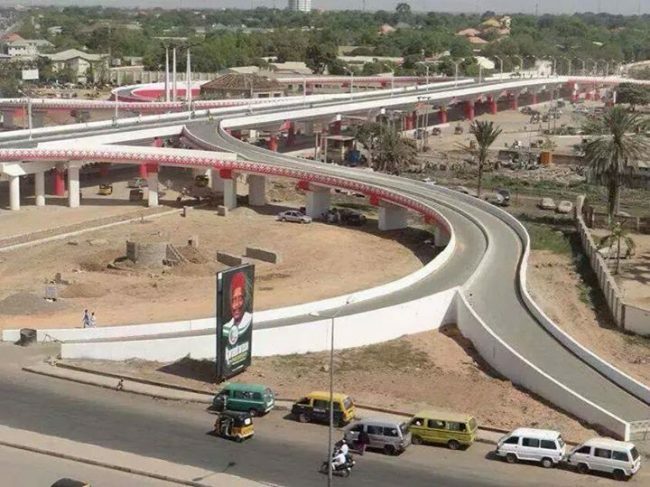 Its capital also known as Kano is Nigeria’s second most populous city after Lagos. Kano is a bustling city full of people and activities. The city in 2016 claimed the no 1 spot as the most populated city in Nigeria surprisingly beating Lagos to it. This statistics led to a virtual contest amongst Nigerians on its veracity. Typical of the North, Kano is an agricultural hub and the chief supplier of groundnut from Africa to major nations of the world. Kano city is also the home of textiles, hides and skins. The ancient city has the presence of major production companies like that deals in plastics, soft drinks, pharmaceutical e.t.c. It also features modern developmental strides like the recently built longest bridge in Africa. This is the third state from the oil rich Niger Delta region to make it to the list. Edo State has its capital in the ancient city of Benin. This city was the former capital of the defunct Bendel State comprising of Delta and Edo States. The city’s population is quite massive as well its economy. It serves as the largest and the most developed city in the old Bendel State. Edo State is an oil producing state, a status that is common to all the south-south states and the Niger Delta states. But her producing capacity isn’t well pronounced compared to her sister states like Rivers and Delta. Benin is a historical city with lots of artefacts depicting medieval times and Nigeria’s rich cultural heritage. This relics are a tourist attraction to the city and that helps its tourism sector grow palmy. The city has a population of about 1.2 million people and the rising economy of the city can attribute some its success to that population. One visit to Akwa Ibom State 20 years ago and one would comfortably pass it off as an underdog where its counterparts are. Today that narrative is different as Akwa Ibom is now Nigeria’s largest oil producing state beating Rivers, Delta and Bayelsa States to it. The state is home to Exxon Mobil the biggest oil multinational firm in Nigeria and one of the most prodigious in the world. The acquisition of oil wells from neighboring states heightened Akwa Ibom’s oil status and placed her as a leading state when it comes to oil. The uncommon renaissance implemented by the former governor of the state Chief Godswill Akpabio help brought the state to limelight and turned her fortunes around for the best. He radically transited Uyo the state’s capital from a glorified village to small mega city with massive infrastructural strides. He built bridges, an international stadium which is the best this side of Africa, a 5 star hotel, world class hospitals and a whole lot of other developmental initiatives that announced the state to the world as the new developmental sensation to look out for. Akwa Ibom state still has a sizable population and negligible economic strength but for its oil assets, it is one state that will possibly rise to the top five soonest. This is arguably the most industrialized state in Nigeria with tons of manufacturing industries saturating the agbara industrial layout and sango-ota area of state. Most of the manufacturing companies’ resident in the area include: Beloxxi Group, Procter & Gamble, Comestar, Dangote, Nestle Nig. Plc. amongst others. With this high density of manufacturing and construction companies present in the state, it’s no longer news that the Internally Generated Revenue of the state is one of the highest in the country as well as its GDP. 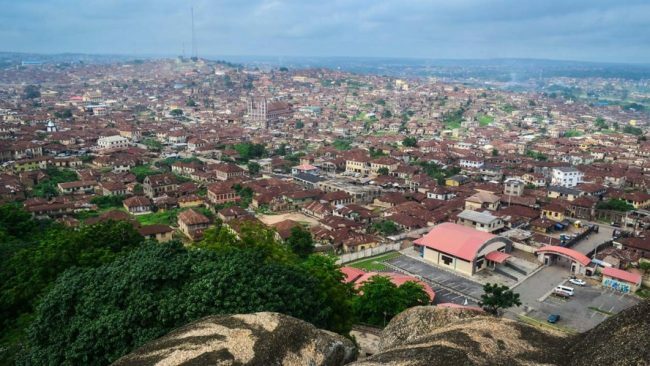 Known as the gateway state and shares a close proximity with Lagos State, Ogun is the investors haven and not just investors in terms of business and companies, it transcends to education and even religion. Ogun State is home to the highest number of universities in Nigeria with a total of 21 higher institutions in different locations of the state. The state is also home to a number of mega churches headquarters and camp grounds. Notably The Redeemed Christian Church of God camp ground and Canaan City of Winners Chapel. All these monumental real estate’s drives traffic to the state and catalyze its economic growth in the process. Ogun State has a population of about 3 million people. This is another important state in the northern region with a huge land mass and wealth of agricultural proceeds. Kaduna State is known as the center for learning because of its appreciable number of colleges and universities. The state is uniquely on its own relative to other northern domains. It is bustling with social life, agriculture, business and education. Its capital is also known as Kaduna. The city has a population of about 760,084 people making it the 9th most populated city in Nigeria. Kaduna shares close proximity with Nigeria’s seat of power Abuja this is also one of the reasons why it is very viable in terms of investments due to metropolitan overflow. It’s a state made up of mostly civil servants, students and pastoral farmers. The State is reputed for having the largest university by landmass in Africa which is the Ahmadu Bello University, Zaria. Trust you liked our list of top 10 richest states in Nigeria and their GDP?